Noise is one of the most common occupational health issues in metal manufacturing/casting facilities. As a manufacturer in North America, staying competitive and profitable at the same time can be very challenging. While you must adhere to regulations designed to keep your workforce safe, some of your foreign competitors don’t, which unfortunately squeezes your margins. So, to keep your factory open and profitable, you need to concentrate on improving productivity. 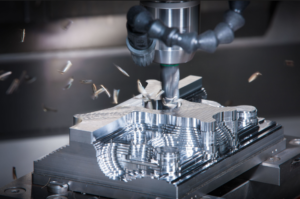 Custom Protect Ear (CPE) specializes in personalized hearing protection and has helped a number of metal machining and fabricating operations overcome their productivity limitations and hearing health safety concerns. According to OSHA the definition of Noise is unwanted sound. Sound is measured in two ways: by frequency and loudness (intensity). Loudness refers to the sound’s intensity and is measured in decibels (dB) on a logarithmic scale. Excessive exposure to noise can produce both temporary and permanent hearing loss. Permanent hearing loss generally occurs gradually over time. By the time a worker notices a hearing problem, it is usually too late to do anything about the hearing loss. The extent of the hearing loss depends on the noise frequency, intensity and exposure time. High noise levels have other undesirable effects, such as interfering with communication in the workplace. For your workers to stay on top of their game, they need to be able to communicate interpersonally or by radio while remaining protected. Worker safety should be a top priority for everyone, whether they’re monitoring controls, part of the production process or working with machinery. 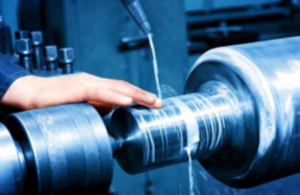 Machinist and maintenance people need to hear how their machinery sounds to ensure that it is running properly, so they don’t often wear their earplugs correctly. Without the proper ear protection, workers are exposed to hearing damage which ultimately may hinder their ability to detect a machine’s problems before it breaks down, resulting in costly consequences. dB Blockers™ provide workers with effective protection and a safe, audible sound range needed to efficiently perform their job. Often when dirty hands come into contact with ears to adjust hearing protectors, workers develop ear infections. dB Blockers™ fit perfectly upon insertion – no need to re-adjust. Various models of dB Blockers™ are available, highlighted by one style that comes with a convenient handle (The Grip) for clean, easy insertion and removal. dB Blockers™ fit better than muffs for those with glasses or facial hair. For welders, disposable earplugs are not only inadequate but are also dangerous as they melt, and even burn when hot slag hits them. Fortunately, dB blockers™ don’t burn or cause machinery breakdowns by clogging critical systems such as foam disposables earplugs do when carelessly discarded. dB Blockers™ are not disposable so they won’t end up littering the parking lot. With workers’ hearing properly protected while wearing dB Blockers™, you can overcome some of the worksite challenges you may be experiencing. This will help your operation toward staying competitive and profitable in the market place. Measuring Noise Exposure Loudness is perceived differently at different frequencies. To measure noise levels in a way that most closely resembles how the ear hears sound, most meters have filters that can produce what is called the A-weighted sound level (dB). The A-weighted sound level is the setting that the OSHA noise standard requires for most noise measurements. Two instruments used to measure noise exposure are the sound level meter (SLM) and the noise dosimeter. The SLM measures the intensity of sound at a given moment. When using this instrument, noise level measurements must be taken several times during the workday at the various duties and locations the employee works. The time that the noise remains at each of the various measured levels must be recorded. The average noise level must then be calculated. The SLM is not worn by the worker, but is held by someone else taking measurements while following the worker. A dosimeter stores sound level measurements and integrates them over a work shift. The worker wears the dosimeter for the entire sampling time. The read-out is in percent dose or equivalent time weighted-average (TWA) exposure. All noise monitoring instruments should meet applicable American National Standards Institute (ANSI) standards (ANSI S1.40, and ANSI S1.25) and be used according to the manufacturer’s instructions. Meeting these specifications assures the accuracy of the results. Impulse or impact noise is automatically included in the dosimeter measurements by the ANSI standards. A sudden, sharp, isolated sound, such as hitting the side of a sand bin with a sledge hammer, is an example of impact noise.